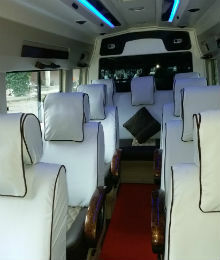 Bus / Coach rental in India is gaining immense popularity in India because nowadays people prefer to enjoy or go for a long excursion or trip in a big group. So, these luxury vans are the best medium for this traveling purpose. 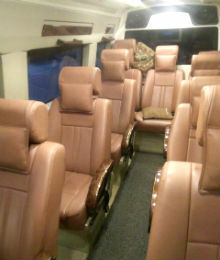 At the same time, these coaches are the best suited vehicles for traveling in a group of 15 to 20 members. By hiring this car coach rental service you will get to stay along with the entire group during your journey. If you want to avail coach rental services then you can book Bus, Minivan, Tempo Traveler and Mini Coach based on your requirement. India Driver Tours is offering AC coaches for rental purpose to visit any tourist in India. At the same time, the seating arrangement comes with a push-back feature to make long journey more comfortable. It can be said that seats are designed especially for overnight and long journeys. 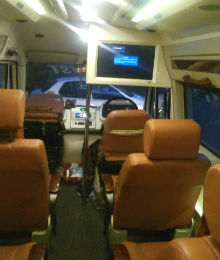 In order bring fun in your journey, our coaches are fitted with music system, which can be used if you feel bored anytime during the journey. So, hire a coach for India tours with us and bring a smile on the face of your loved ones. Have a look at the various coaches available with us for car coach Rental in India. 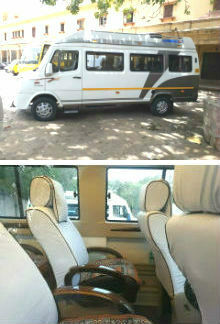 All the tempo travellers come with different seating capacity/arrangement. The various types of tempo travellers that are available for rent are 9+D, 12+D, 13+D, 14+D, 15+D, 17+D, 19+D and 20+D (D represents ‘driver’). Choose tempo traveller with a suitable seating capacity and book it online. 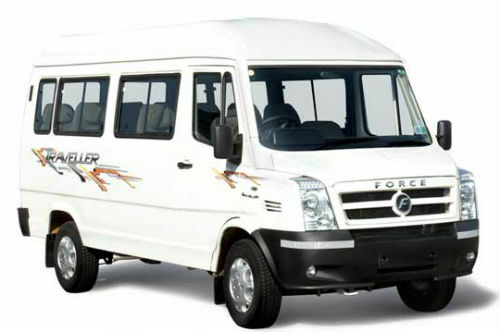 India Driver Tours is offering you best rental services to hire a tempo traveler for India tours, which is a 12-seater van ideal for small family holiday. This tempo traveler is perfectly designed and is very rugged & sturdy on the road. In case you are going on a vacation at a hilly region then this vehicle offers you ideal moving space, comfortable push back and an ample leg space. It also gives you with a good luggage space. At the same time, If you prefer some type of entertainment while traveling with your family, in that case it has DVD system, music system, and also a TV with which will give you a relaxed journey. Hire a Mini coach rental India Driver Tours, which is ideal for a group of 15 to 20 people, mini coaches are the ideal option to travel. The coaches are equipped with the facilities, such as ample luggage space, music system, comfortable push-back seats, and air-conditioning. At the same time, we have customized this Mini Coach to add some extra safety features like fire extinguisher, first aid box and much more. 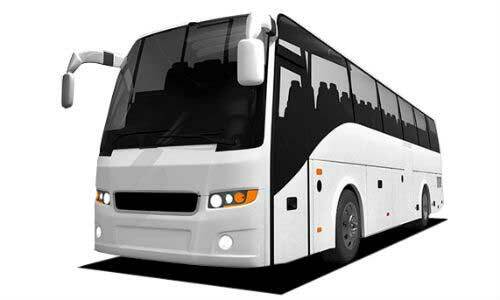 Hence, book online this Mini Coach rental in India to make your long and overnight journey-comfortable and memorable for all the years to come.